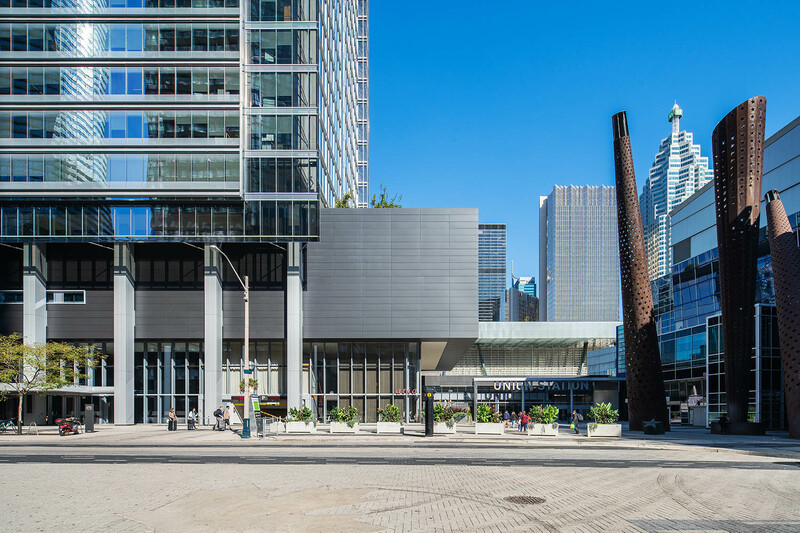 Sitting amid Toronto’s skyline, the TELUS House Toronto at 25 York Street is a high-performance office located at the corner of York Street and Bremner Boulevard on former brownfield railway lands. 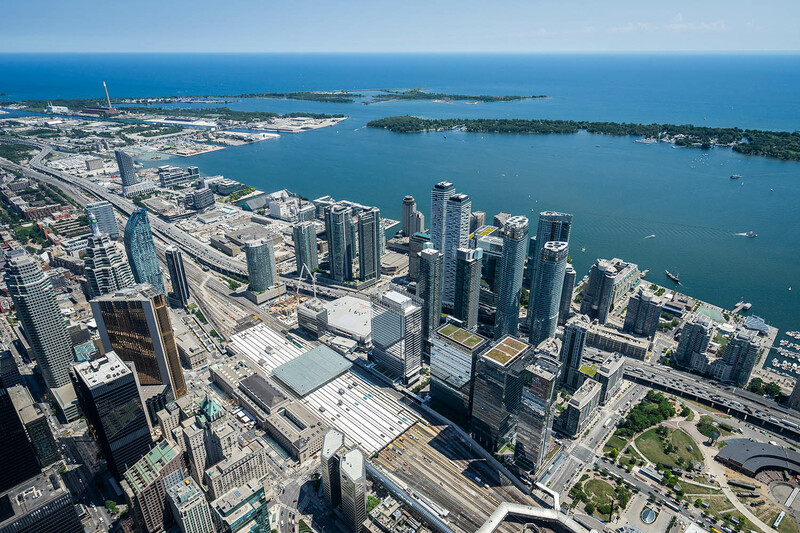 One of the first large projects to be developed in the South Core, it is connected to the Toronto PATH network of underground pedestrian passageways and is visible from the Toronto Waterfront. 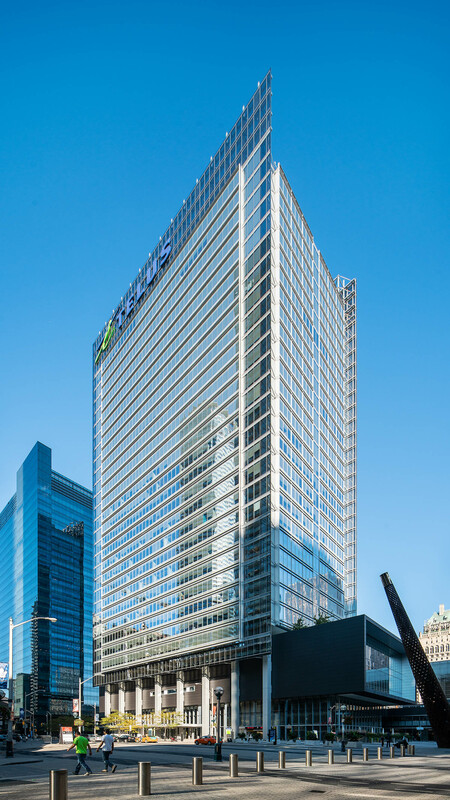 Adjacent to Air Canada Centre and Maple Leaf Square, the TELUS House Toronto is situated in a sought-after and highly active area of the city. 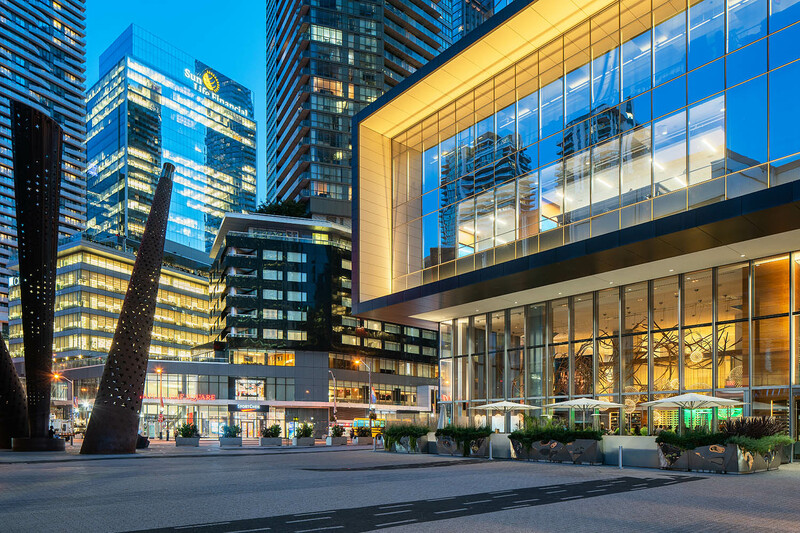 This project is LEED® Platinum, and was the first to receive a LEED® Dynamic Plaque in 2015. 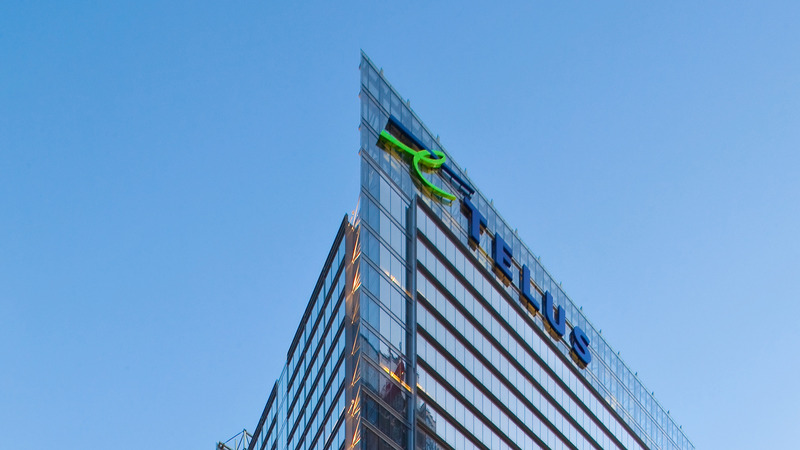 TELUS Communications is a leading telecom company that recognizes the importance of architecture as a significant competitive advantage. In 2005, they had the vision to maximize the potential value of consolidating more than 2,000 employees in an all-new building. 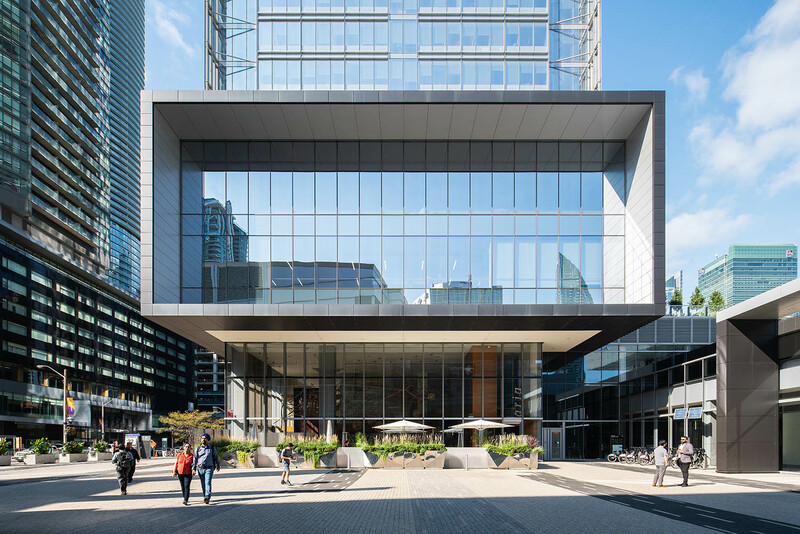 With budgets set and zoning in place, we worked closely with TELUS and Menkes Development, as well as Adamson Associates to deliver a world-class High-performance Workplace tower: TELUS House Toronto. 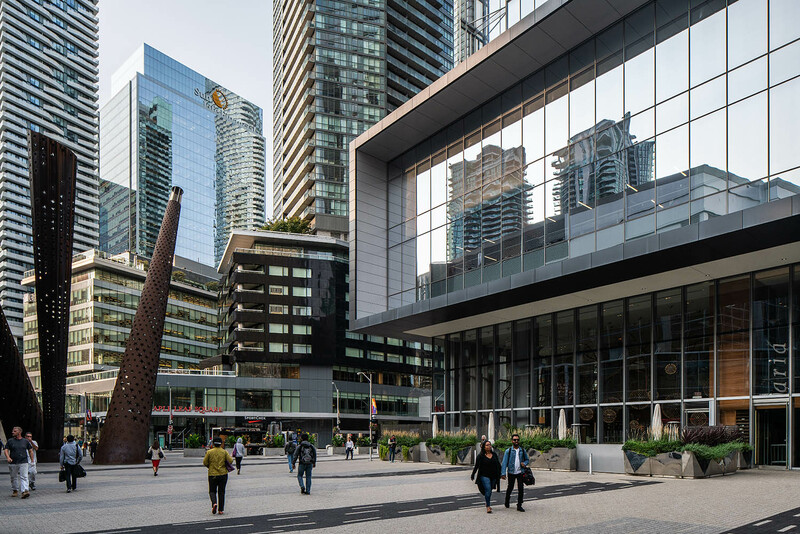 Advanced, sophisticated and smart building technology, as well as a tenant-oriented design, resulted in a progressive workplace that continues to be high in demand. 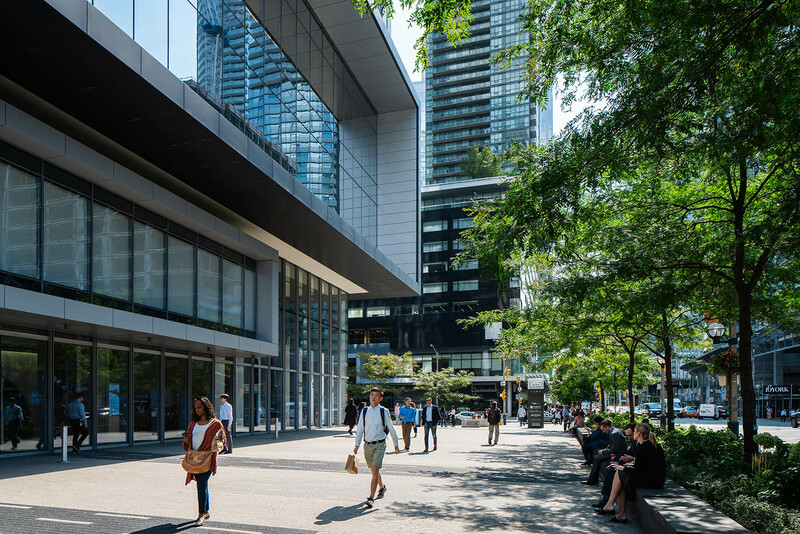 Inside, The TELUS Hosting and Innovation Centres have become integral to the success of the buildings as a whole, informing the public spaces and architecture. -- Trish Clarry, Former Executive Director, Real Estate, TELUS Communications Co. 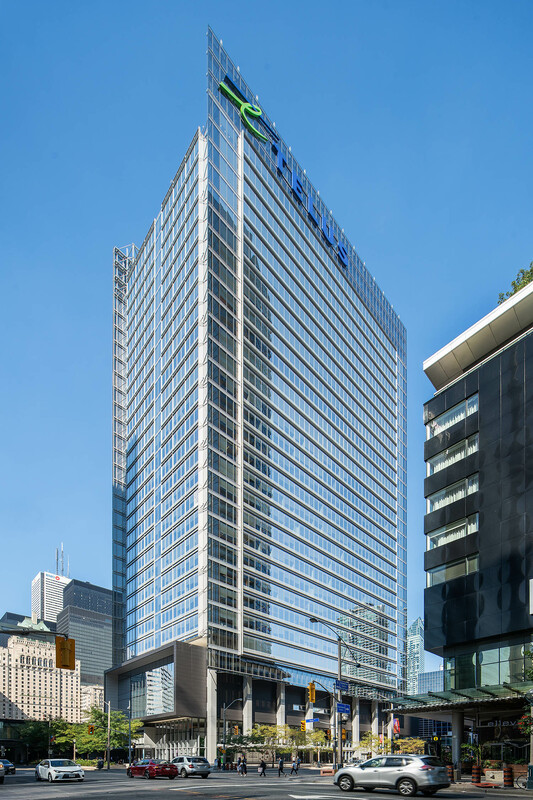 The project achieved LEED® Gold certification in 2011, featuring state-of-the-art technologies that are environmentally responsible, health-conscious, comfortable and economically advantageous. Daylight harvesting, rainwater collection and reuse from an on-site cistern, right down to bicycle storage areas and change rooms for those walking or pedalling to work. It set new precedents in modern technological sophistication and push the boundaries of the green High-performance Workplace movement. 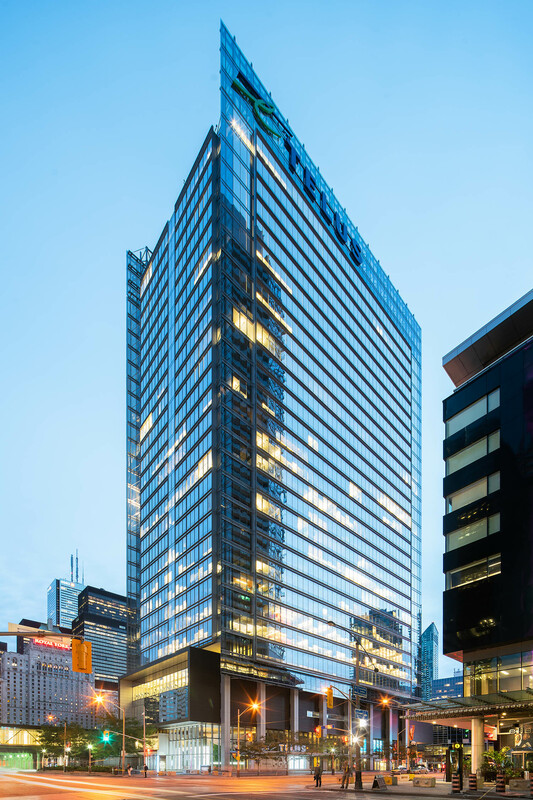 It continues to be an exemplary project of sustainability after occupancy, becoming Toronto's first LEED EB:O+M Platinum building in 2012 with the first ever installation of a LEED Dynamic plaque. It is also the highest scoring property with the BOMA BEST® program with a 95% Platinum score, and has also been recognized with the BOMA TOBY Award (2013), Certificate of Excellence (2013), and the Earth Award (2012, 2016). Architect: Adamson Associates. Collaborating Architect: Sweeny &Co Architects Inc.